Nvidia has recently added support for new Quadro based graphic cards in their driver update configuration file over at LaptopVideo2Go (Via Videocardz.com). 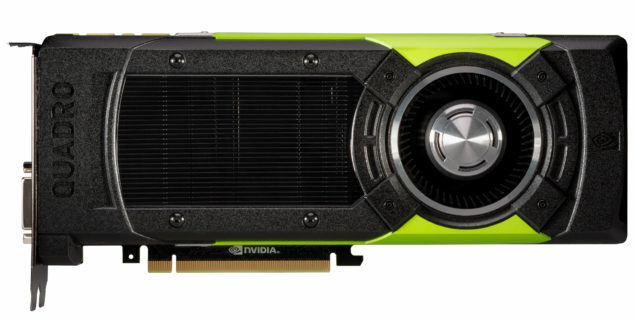 The new models are the Nvidia Quadro M5000 and Nvidia Quadro M4000. The SIGGRAPH 2015 event is coming up and will probably see the launch of these Quadro SKUs. As noted by Videocardz, this is the same time-frame during which the Quadro Kxx2 parts were launched. In the previous generation, the x6000 variant had the x200 or the flagship GPU, the x5000 had the x204 or the middle end GPU and the x4000 variant had the low end x206 GPU. While the M6000 Quadro undoubtedly has the GM200, both the Quadro M5000 and M6000 are based on the GM204 GPU. I suspect we won’t see the GM206 make an appearance because of its low performance. Although we do not know the specifics of the Quadro M5000 and M4000, we can safely assume that the 5000 counterpart will feature the full GM204. The M4000 on the other hand will probably feature a cut down variant – although how cut it will be is anyone’s guess. The GM204 GPU has 16 SMMs, so a good estimation would be around the 13SMM mark (± 1 SMM) with correspondingly 1536 to 1792 CUDA cores. The Tesla K60 on the other hand is expected to be a full fledged GM204 GPU with 8GB of GDDR5 vRAM. Given below is the comparison table with the new additions added.